The terms are a part of M Room’s membership agreement (hereinafter referred to as “Membership Agreement”), which has been drawn up between the person who has signed the agreement (hereinafter referred to as “Member”) and the local M Room shop (hereinafter referred to as “M Room”). 2.1 Membership shall be in force for the term specified in the agreement and the validity of the Membership Agreement shall end without notice on the ending date specified in the Membership Agreement. After this, the Member shall be entitled to enter into a new Membership Agreement in accordance with the valid pricelist. 2.2 When signing the Membership Agreement, the Member shall be obligated to pay the annual fee in accordance with the valid price list. 2.3 Membership is personal and, on request, the Member shall prove their identity. However, the membership can be transferred to another person once during the agreement period, if necessary. The remaining period of the transferred Membership shall be at least 6 months, and the Member shall pay a processing charge for the transfer in accordance with the currently valid price list. Special price memberships, co-operation partner memberships or memberships that have already been frozen once during the contract period cannot be transferred or frozen. 2.4 Membership gives the Member the right to use the services provided according to membership level (Silver, Gold, Platinum) and to buy services at the prices applicable to the membership level in question. Currently valid membership levels, price lists and product portfolio with descriptions can be seen in M Room shops and online at mroom.com. M Room has the right to make refinements to the contents of members’ benefits during the validity of the agreement. 2.5 Membership gives the Member the right to utilize M Room’s services in any M Room shop. Membership service credits are country specific. The membership service priority and the member discounts are valid in all M Room shops internationally. 2.6 Membership level (Silver, Gold, Platinum) is defined in the Membership Agreement. The Member can raise their level of membership to a higher level at any time. When doing so, the Member shall pay the surcharge for the raised membership level according to M Room’s valid price list at the time of the change. 2.7 The Member is aware and accepts that Members and other customers are served in the shops in the order of their membership level. More information about the membership level system can be found at mroom.com. Similarly the Member is aware and accepts that the queues in the shops vary by shop and, despite their membership level, they may have to queue, and no separate compensation or refund shall be paid for this. During the membership, M Room may unilaterally change the range of its shops’ products or services or the opening hours of shops according to demand and resources. M Room reserves the right to enter the status of the shop as ”full” when there is such a backlog of customers that no more customers can be served within the shop’s opening hours. When a shop’s status is “full” customers cannot move past other customers towards the head of the queue, regardless of their membership level. 3.1 For the duration of their membership, the member will be given an M Room membership card for their personal use. The membership card is used for identifying the Member and it is The card cannot be transferred or lent to anyone temporarily. The Member shall be obligated to store the membership card carefully and to make sure that no one else can misuse it. If the Member loses their membership card or suspects that it has been misused they shall notify M Room about it immediately. The Member will receive a new membership card in an M Room shop. A charge in accordance with the valid price list will be charged for the new card. 3.2 By signing the Membership Agreement, the Member accepts that M Room may send its members information about its services and offers to the postal address and/or e-mail address given by the Member. However, the Member can at any time instruct M Room to stop sending them marketing messages. 3.3 The Member accepts that an M Room shop or companies belonging to the same Group can register, record and process personal data concerning the Member (for example, contact information and payment information) and the services offered by M Room that the Member has used, in accordance with the Personal Data Act (523/1999, including amendments). The purpose of collecting the above mentioned data is to administer and take care of membership in the best way possible and to inform the Member of the services currently offered by M Room. The Member gives their consent for M Room to record the Member’s history of visits and purchases to ensure the quality of its services. The Member always has the right to see their history of visits, and this can be done using the M Room application which can be downloaded from each operating system’s own application store. 3.4 The Member’s data will not be disclosed to outsiders without the Member’s written consent, with the exception of disclosures that are based on the law. 4.1 A member who, for a specific reason, cannot make use of their membership during a certain time can apply for the postponement of their membership for the time in question with a written, free-form application. The postponement application shall be sent to the seller of the Membership. The membership freeze shall be valid from the date that M Room accepts the Member’s application. As a result of this, any membership commitment period of the Membership Agreement shall be extended with a period that corresponds to the duration of the freeze and that is accepted by M Room; the use of the membership card in M Room shops shall be prevented during the agreement’s freeze time. 4.2 Membership postponement shall be granted on the basis of an injury or illness that can be proven to prevent the Member from using M Room’s services for a period of at least 60 and at most 365 Postponement of membership due to a lengthy stay abroad or studying or working in a locality where M Room has no business activities shall be granted for a minimum of 90 days and a maximum of 365 days. When applying for postponement more than once during one membership commitment period the total amount of days postponed can’t exceed 365 days and between every freezing period needs to be at least 90 days if postponement is due to being away from the location without the possibility to use any M Room services. 4.3 An application for freezing the membership shall be made beforehand or, in the case of injury or sudden illness, at the latest when the Member has an actual chance to do so, and it shall be confirmed with a certificate of the obstacle preventing the use of M Room’s services. The application for postponement due to a reason for being away from the M Room location as laid down in section 4.2 always needs to be done before wanted postponement period is set to begin. If M Room approves the freezing of the membership due to any reason laid down in section 4.2, the Member shall pay a separate processing fee according to M Room’s currently valid price list. 4.4 The Member has the right to terminate the Membership Agreement owing to an exceptional, surprising event concerning them personally (a serious, long-lasting illness or disability that prevents the use of M Room’s services permanently, moving abroad fora longer than temporary period, or some other unforeseen change in circumstances that makes the freezing of the Membership Agreement not justifiable) even if the membership commitment period specified in the Membership Agreement is not finished. The prerequisite for the cancellation of the Membership Agreement is that M Room approves the grounds for the cancellation. M Room reserves the right to charge compensation, as specified in section 4.5 below, for cancelling the Membership Agreement prematurely for a reason that is due to the Member. 5.1 M Room has the full right to make amendments and changes. The active development and improvement of operations and operating procedures is an important part of the franchise business concept and therefore M Room reserves the right to make changes that will improve the success of the business concept on a general level. 5.2 M Room has the right to lock the Membership for a certain amount of time, or to cancel the Membership Agreement so that it ends immediately without compensation if the Member clearly violates the terms of the Membership Agreement or M Room’s other terms. 5.3 Membership is always personal and in cases of misuse M Room has the right to decommission the Member’s membership card without paying the Member any compensation or refund for this. 6.1 M Room shall not be responsible for any personal injuries, theft or other losses of personal property brought into the M Room shop by the Member unless imperative legal provisions decree otherwise. M Room shall not be responsible for a Member’s personal property that has been left at the shop. 6.2 In no circumstances shall M Room be responsible for the Member’s access to the service being temporarily prevented or for other temporary restrictions that result from reasons outside M Room’s influence and reasons that M Room cannot reasonably anticipate or prevent. 6.3 M Room shall not incur responsibility nor shall it be responsible for any hindrance or restriction to use the services described in this agreement, resulting from reasons similar to the ones described below that prevent the service being performed entirely or hinder it considerably. Such a restriction is considered to include, among others, a decision by the authorities, new legislation or amendments to existing legislation, loss of staff, strike, lockout, blockade, fire, flood, water damage, bankruptcy, a significant loss of property, destruction or disaster.  If the use of M Room’s services is prevented due to one of the above mentioned obstacles, M Room shall not be obligated to refund the membership fee or any other unused service or product paid for by the Member. 7.1 Finnish legislation shall be applied to the Membership Agreement. 7.2 Any dispute, controversy or claim arising out of or relating to this Agreement, shall be finally settled by arbitration in accordance with the Arbitration Rules of the Finland Chamber of Commerce. The arbitration tribunal shall consist of one (1) arbitrator appointed in accordance with the said Rules. The seat of arbitration shall be Helsinki. The language to be used in the arbitral proceedings shall be English. The number of arbitrator shall be one (1). The terms are a part of M Room’s membership agreement (hereinafter referred to as “Membership Agreement”), which has been drawn up between the person who has signed the agreement (hereinafter referred to as “Member”) and the local M Room salon (hereinafter referred to as “M Room”). 2.1 Membership shall be in force for the term specified in the agreement and the validity of the Membership Agreement shall end without notice on the ending date specified in the Membership Agreement. After this, the Member shall be entitled to enter into a new Membership Agreement in accordance with the valid price list. 2.4 Membership gives the Member the right to use the services provided according to membership level (Bronze, Silver, Gold, Platinum) and to buy services at the prices applicable to the membership level in question. Currently valid membership levels, price lists and product portfolio with descriptions can be seen in M Room salons and online at mroom.com. M Room has the right to make refinements to the contents of members’ benefits during the validity of the agreement. 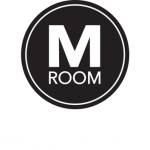 2.5 Membership gives the Member the right to utilise M Room’s services in any M Room salon. Silver membership is country-specific, whereas Gold and Platinum memberships are in effect in all M Room salons all over the world. Bronze and Silver memberships are country specific. Gold membership works in every shop in Europe and Platinum membership in every shop globally. 2.6 Membership level (Bronze, Silver, Gold, Platinum) is defined in the Membership Agreement. The Member can raise their level of membership to a higher level at any time. When doing so, the Member shall pay the surcharge for the raised membership level according to M Room’s valid price list at the time of the change. 2.7 The Member is aware and accepts that Members and other customers are served in the salons in the order of their membership level. More information about the membership level system can be found at mroom.com. Similarly the Member is aware and accepts that the queues in the salons vary by salon and, despite their membership level, they may have to queue, and no separate compensation or refund shall be paid for this. During the membership, M Room may unilaterally change the range of its salons’ products or services or the opening hours of salons according to demand and resources. M Room reserves the right to enter the status of the salon as ”full” when there is such a backlog of customers that no more customers can be served within the salon’s opening hours. When a salon’s status is “full” customers cannot move past other customers towards the head of the queue, regardless of their membership level. 3.1. For the duration of their membership, the member will be given an M Room membership card for their personal use. The membership card is used for identifying the Member and it is personal. The card cannot be transferred or lent to anyone temporarily. The Member shall be obligated to store the membership card carefully and to make sure that no one else can misuse it. If the Member loses their membership card or suspects that it has been misused they shall notify M Room about it immediately. The Member will receive a new membership card in an M Room salon. A charge in accordance with the valid price list will be charged for the new card. 3.3 The Member accepts that an M Room salon or companies belonging to the same Group can register, record and process personal data concerning the Member (for example, contact information and payment information) and the services offered by M Room that the Member has used, in accordance with the Personal Data Act (523/1999, including amendments). The purpose of collecting the above mentioned data is to administer and take care of membership in the best way possible and to inform the Member of the services currently offered by M Room. The Member gives their consent for M Room to record the Member’s history of visits and purchases to ensure the quality of its services. The Member always has the right to see their history of visits, and this can be done using the M Room application which can be downloaded from each operating system’s own application store. 4.1. A member who, for a specific reason, cannot make use of their membership during a certain time can apply for the postponement of their membership for the time in question with a written, free-form application. The postponement application shall be sent to the seller of the Membership. The membership freeze shall be valid from the date that M Room accepts the Member’s application. As a result of this, any membership commitment period of the Membership Agreement shall be extended with a period that corresponds to the duration of the freeze and that is accepted by M Room; the use of the membership card in M Room salons shall be prevented during the agreement’s freeze time. 4.2 Membership postponement shall be granted on the basis of an injury or illness that can be proven to prevent the Member from using M Room’s services for a period of at least 60 and at most 365 days. Postponement of membership due to a lengthy stay abroad or studying or working in a locality where M Room has no business activities shall be granted for a minimum of 90 days and a maximum of 365 days. When applying for postponement more than once during one membership commitment period the total amount of days postponed can’t exceed 365 days and between every freezing period needs to be at least 90 days if postponement is due to being away from the location without the possibility to use any M Room services. 4.5 In connection with a premature termination of the Membership Agreement that takes place during the membership commitment period, M Room shall repay the membership fee paid by the Member in so far as it falls on the remaining membership period that the Member has committed to in their Membership Agreement, if the membership ends for the reasons described in Section 4.4 and M Room and the Member have verified this jointly. When the agreement ends in this way M Room will take from the annual fee collected in advance from the Member a price for the services already used according to the valid price list for one-off services and also the total sale value of the product package that is included in the membership in accordance with the price list for the products. The sum remaining of the membership fee after the above mentioned reductions have been made shall be refunded to the Member as a lump-sum payment. 6.1 M Room shall not be responsible for any personal injuries, theft or other losses of personal property brought into the M Room salon by the Member unless imperative legal provisions decree otherwise. M Room shall not be responsible for a Member’s personal property that has been left at the salon.